The Hensel Elektronik can look back on more than 25 years of success. We develop, manufacture and market innovative, high-quality hardware and software solutions in the field of industrial electronics. Our team of six graduate engineers as well as an industrial electrician and a qualified IT specialist works at our headquarters in Rostock, Germany. Our work is characterized by a positive, friendly atmosphere and a high level of commitment and motivation. We focus on long-term partnerships with our clients for optimal results and mutual benefit. Our business partners include leading companies in the fields of medical technology, mechanical engineering, energy optimization and research. The Hensel Elektronik GmbH was founded in 1991. Our company started with the development and sale of electronic devices, components and software. Our early success in the electronics industry soon required the hiring of staff and the move to bigger office. A local start-up incubator as a new company domicile was a good starting point with regard to new business contacts. New customers, but also partnerships and cooperations with industry and research allowed but also required the continuous expansion of our engineering team. 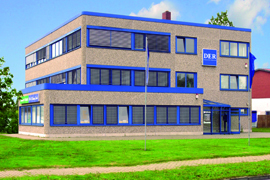 In 1995 we moved to our current location in the Hinrichsdorfer Straße in Rostock. The new location provided not only enough space for our growing team but also for modern development and manufacturing tools. This made very cost effective and flexible work for the benefit of our customers possible. In 2001, the first trainee began his training as an industrial electrician in our company. In the following years, two more finished their training successfully. For many years we have offered students internships in our company to apply theoretical knowledge in various projects and to acquire in-depth practical experience. So far we have supervised two students during the preparation of their diploma or master thesis. ...there where only two small desks in a tiny room.